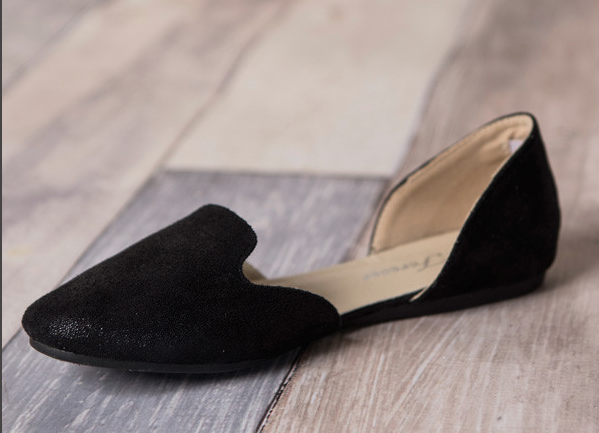 Shimmer Faux Suede Flats Only $9.95! You are here: Home / Great Deals / Shimmer Faux Suede Flats Only $9.95! These are going to take you through the end of summer right into fall! Get these Shimmer Faux Suede Flats Only $9.95! The cute little shimmery flats will go casual or dressy with their classic look! Limited sizes so don’t wait!